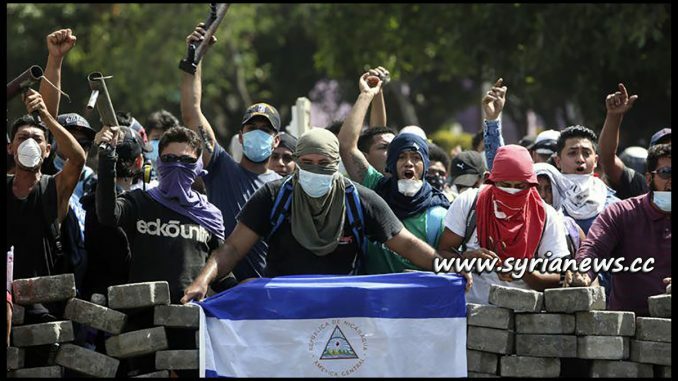 Nicaragua Riots - Reminds me of the FSA Statements in Syria! 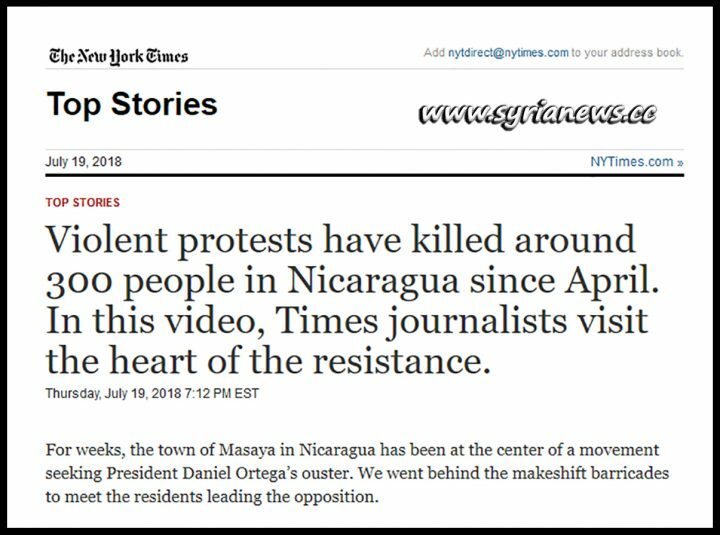 If the ‘violent protests’ happened in the USA, France or in Britain, would it be called ‘Resistance’? Would those ‘Three Marketeers’ handle them with the way they pressure countries not in their alliance to do? When some protests occurred in the Eastern parts of Saudi Arabia, the Grand Mufti there called for the crucifying of the protesters, cut their arms and legs from the opposite (right arm and left leg) and hang them on palm trees until they die for daring to raise their voices against the rulers. The ‘Three Musketeers’ did nothing at all, absolutely nothing, and instead, they even gave the Saudis more weapons.